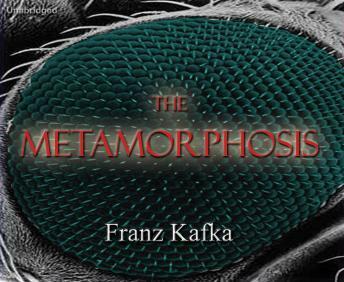 Listen to "The Metamorphosis" on your iOS and Android device. As travelling salesman Gregor Samsa awoke one morning from uneasy dreams, he found himself transformed in his bed into a gigantic insect. He was lying on his hard, as it were armor-plated, back and when he lifted his head a little he could see his domelike brown belly divided into stiff arched segments on top of which the bed quilt could hardly stay in place and was about to slide off completely. His numerous legs, which were pitifully thin compared to the rest of his bulk, waved helplessly before his eyes.